To test MCBs up to 250A on site. To test MCB’s up to 250A on site. Test panel with DIN rail mounted in top cover. Necessary to test single-break circuit breakers. 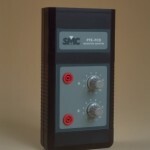 The PTE-FCB / PTE-FCD can be used to effectively reduce the sensitivity of the monitor input. The monitor input detects the relay’s operation and stops (or starts) the chronometer when testing with the PTE-100-C, PTE-50-CE, PTE-50-CET, and all LETs excluding the LET-400 (which lacks a chronometer). Our timer can be programmed to stop when a significant amount of voltage appears across the MONITOR section. This is the preferred method to measure trip time in a single-pole MCB (miniature circuit breaker), because, being single-pole, there is no associated ‘dry’ contact that can be used to detect the trip operation. You inject the trip current across the MCB and, when it trips, the applied voltage appears across its poles. The PTE-FCD is required because there is also a voltage drop across the closed MCB, and it may be so significant as to activate the monitor, which intempestively stops the chronometer before the MCB has tripped, thus rendering the test impossible. 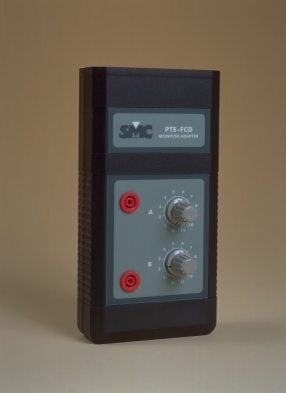 With the PTE-FCD, you can attenuate this ‘non-trip’ voltage until it is no longer detected by the monitor, without affecting the detection of the ‘trip voltage’. Once you have adjusted it for the particular MCB, you can proceed with the testing. 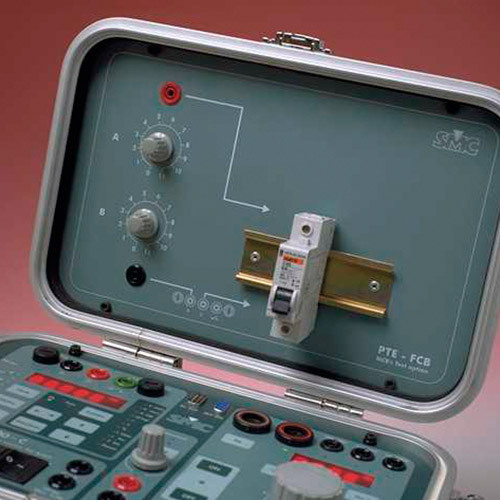 The PTE-FCD is actually an integral part of the PTE-FCB optional accessory that installs inside the PTE-100-C’s cover. However its functionality is useful also for other customers who need to test single-pole MCBs or similar tripping devices with test equipment other than the PTE-100-C (e.g. the LETs).